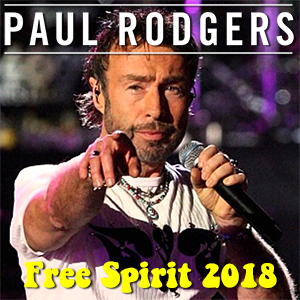 Grammy-nominated frontman, Paul Rodgers, is a musical innovator who has successfully reinvented himself over the course of a five-decade career, in the legendary bands Bad Company, Free , The Firm, and his live touring collaboration, Queen + Paul Rodgers. Ranked as one of the Greatest Singers of All Time by Rolling Stone Magazine, Paul is a multi-faceted creative force in the genres of Rock, Blues and Classic Rock. His powerhouse delivery combined with his impeccable songwriting and peerless showmanship has produced over 125 million records sold and helped redefine Rock N Roll in the process. Celebrating the Music of Free was recorded at a sold out show at The Royal Albert Hall in London. Captured in a stunning multi-camera shoot. 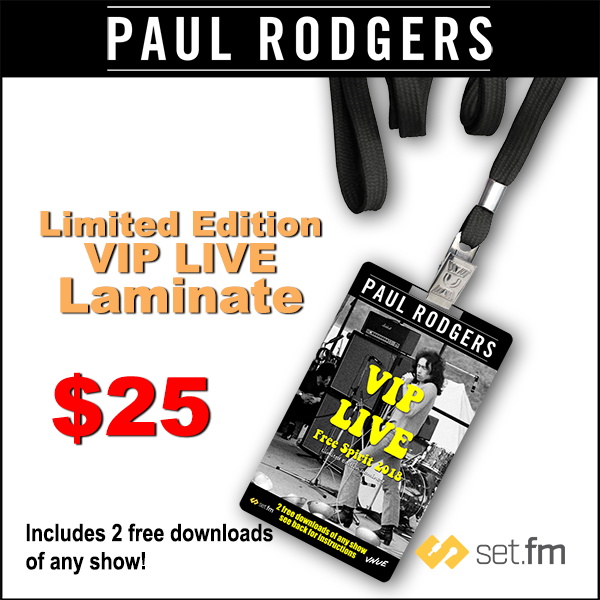 DiscLive in partnership with VNUEs set.fm is excited to be working with Paul as he performs the music of Free Spirit on the Stars Align tour, and to commemorate it, Paul and DiscLive are doing a limited run of collectible laminates, each which have codes for two FREE FULL SHOW DOWNLOADS of any recording on the tour! Make sure to pre-order your laminate NOW and reserve your copy before they are sold out. We are only making 500 EVER of these very special collectible products! EACH LAMINATE RECEIVES TWO FREE SHOWS!